Earlier this year, I gobsmacked readers with an article about 67 Ways to Increase Conversion with Cognitive Biases. It was meant to be a primer about how we all have cognitive biases, which we cannot control and that pretty much drive the way we view the world. It was a good introduction, if I say so myself, but there wasn’t room to say much about what good it is to know about each of these biases. For our purposes as e-commerce marketers, cognitive biases affect how users react to our websites and all of our marketing materials. If we understand how cognitive biases work, we can play upon them to our advantage. Don’t look at me like that. Any kind of marketing we do plays upon our intended audience’s psychological reaction to it. You are making money off of your customers’ cognitive biases, whether you realize it or not. Anyhow, over several blog posts to come, I want to take a closer look at these cognitive biases and their application to conversion optimization. I’ll explain what they are, how they work and how they may apply to making your website and marketing campaigns more successful. I’ve done a couple already, including a recent look at the ambiguity effect and earlier dives into the anchoring effect (also known as “focalism”), the decoy effect and hyperbolic discounting. If you’re following along with your scorecards at home, you’ll see that attentional bias is up next. Somehow. Just work with me. Previously, I defined attentional bias as “the tendency of our perception to be affected by our recurring thoughts.” Our attentional bias is toward the familiar. We tend to focus on what we already know about or are thinking about at the expense of new information. In my cognitive bias list I said, as others have, that the upshot of this is that the more often a potential customer receives your marketing message, the more likely he is to buy from you. Therefore, repetition is key, which is why the concept of “branding” is so important. You should repeat your brand name, logo, tagline, etc., often on your landing page and in ads. Place multiple CTAs on your pages. Use social media, and blog regularly (on your site and as a guest blogger) to increase the familiarity of your name and/or brand among your customer base. So mainly I’ve identified the psychological basis (attentional bias) for a marketing/advertising technique that any school kid knows about (repetition). As you may have guessed, there’s more to it. Attentional biases occur because we naturally tend to pay more attention to certain stimuli and ignore others. We are particularly biased toward negative information. Most work regarding attentional bias is in counseling for psychological problems, particularly anxiety disorders, as well as in connection with depression and addiction. People with anxiety have attentional biases toward threat; those who are depressed tend to have stronger attentional biases toward negativity; and addicts have attentional bias toward terms or concepts related to their drug or vice of choice. Stroop task (see “Case Studies” here). Participants are asked to name the color that a word is printed in. They are shown words that are either emotionally negative or emotionally neutral. Attentional bias is indicated if participants take longer to name the colors of emotionally negative words than neutral words, on the assumption that the longer response is due to emotionally negative words having drawn more distracting attention than the neutral words. Dot-probe task: Objects or words (either threat-related or neutral) are simultaneously presented on two areas of a computer screen, and subjects’ visual attention is measured. An anxious participant will shift their attention toward the threat, and away from adjacent objects or words. Below, participants are to identify whether one or two dots have replaced each word in turn. If there’s an attention bias toward the negative word, the participant will answer faster when it has been replaced, since he or she was already focused on it. What an anxious person fears most will grab most of their attention. In the Stroop test, according to Michael W. Eysenck and Mark T. Keane’s Cognitive Psychology: A Student’s Handbook, people with a spider phobia attend to words such as “hairy” or “creepy.” Anxious students tested just before exams attend to words related to success and failure. There are two ways to approach the attentional bias that will automatically have your customers focused on perceived threats, anxiety or fear: capitalize on it or minimize it. I explained the most useful threats in a marketer’s ammo bag just a few weeks ago: scarcity and urgency. Inject a little FOMO into a potential customer’s noggin by telling them there’s only a few left, the sale ends soon, this is for select customers only, etc., and you will have their attention. They cannot help it. But the other side of the coin is that the customer brings fear and anxiety, or perceived threats, along with them. And that includes all customers. Customers of e-commerce even have specific fears of their own. Allaying the fears of your potential customers is a large and important component of conversion optimization. Fortunately for you, once again, I have previously explored How to Deal with Your Customers’ Fear, including the need to make it obvious that you understand their fear, and that you are doing your best to answer and resolve their misgivings. One of the methods for diminishing fears is to add trust signals to your site. There are numerous trust signals that your website can benefit from, but trust signals based on prior performance apply directly to another facet of our attentional bias. Our attentional bias prompts us to cling to the past, the power of which derives partly from its familiarity. But it goes beyond what’s familiar. We focus on positive stimuli from the past, even if it is not our past, and even if there’s no transitive value. Our attentional bias also leads us to reject new contrary information in favor or what we already think we know. One particular study showed that investors prefer mutual funds that have done well previously, despite the fact that prior performance is not relevant for predicting how they’ll do in the future. Even the presence of the disclaimer mandated by regulatory bodies, which warns that past performance does not guarantee future results, was not enough to overcome investors’ attentional bias toward past performance. Potential customers will naturally focus their attention on indicators of past performance that pleased your customers and/or others, and expect that their experience will be positive as well. 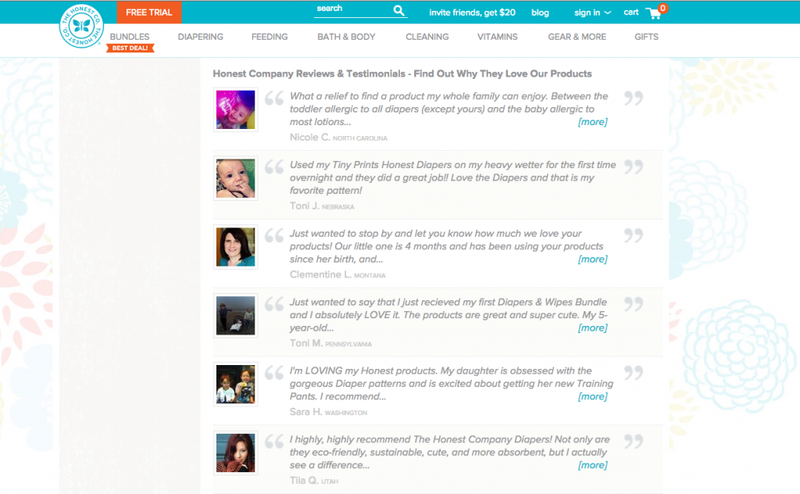 Customer testimonials: because they were happy, people who see these will expect to be happy too. People who become overly focused on a single stimulus may fail to notice other aspects of the situation. This is also known as “selective attention.” Later, their memories may be inaccurate or incomplete. This well-known video provides an example, though, honestly, when we watched it the first time we were not “biased,” as it were. Still, you can guard against distorted memory by reiterating information late in the sales funnel. Always provide a thorough description of the product, its price, benefits, etc., at the end and during the checkout process. Many e-commerce sites provide a “You also looked at” feature, which not only sets the record straight but reinforces stronger feelings for/attention to the selected product. Yes, fast-forwarding on a TV and scrolling online are two different movements in two different media. But the intention is the same: the viewer/user wants to get to the “better” part faster. Being front and center has always been the best way to be noticed. Our takeaway from this is that, as the potential buyer gets farther along the funnel, pages should be cleaner and as free of potential distractions of all kinds as possible. We all have attentional biases that we cannot avoid. We gravitate toward what we know, particularly if it is on our minds. This can be helpful in e-commerce if you or your product are what potential customers know, and their knowledge of you is positive. On the other hand, some attentional biases are negative. It’s up to you to position yourself in a manner that overcomes customers’ oppositional feelings that are uncontrollable, real and potentially harmful to your conversion rates.